One of the most rugged hollies available with exceptional tolerance to cold and heat. China Boy is a male Holly and the partner to China Girl. 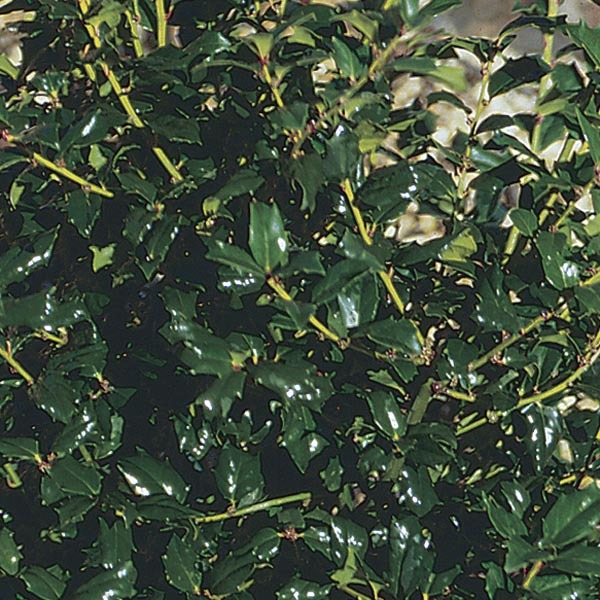 Lustrous green leaves are lighter in color than most blue hollies. Broad, rounded shape is perfect for foundation, specimen, or hedge. One male plant will pollinate up to five female plants. 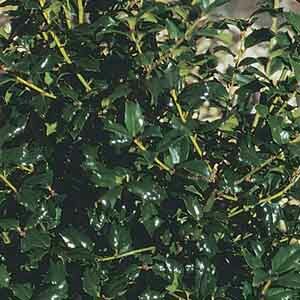 Great for texture in borders, use for hedging or foundations. Superb for holiday arrangements, striking in snow scapes. Makes a breathtaking specimen plant. Plant in any sunny location in the garden. Best in fertile, humus-rich, well-drained soil. Prune to maintain desired shape. Male and female plants are needed to obtain fruit.